Turreted medieval castles towering over hillsides which tumble down into bountiful plateaus resplendent with vineyards, along which is threaded a mighty, twisting river peppered with a collection of picturesque, medieval villages. The former stage for swashbuckling adventurers, elegant ladies in flowing gowns and knights in shining armor led by victorious Barons and Kings. It’s the stuff of fairy tales and small wonder the chosen film set to retell the long ago stories of heroes and heroines like Richard the Lion Heart, Joan of Arc and Eleanor, Queen of France and England. This is the Dordogne département in the Aquitaine region of south west France where we spent a blissful few days a couple of weeks ago. Within the Aquitaine lies some of France’s most prestigious wine growing areas, the splendid city of Bordeaux in the far west, lending its name to many of these vintages. 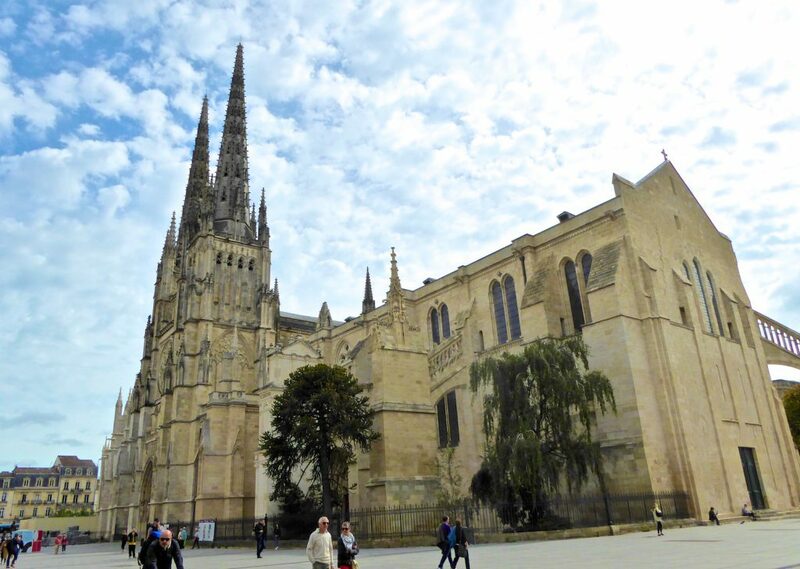 It is a city not to be missed, the Cathédrale Saint-André being one of its many breathtaking sights. 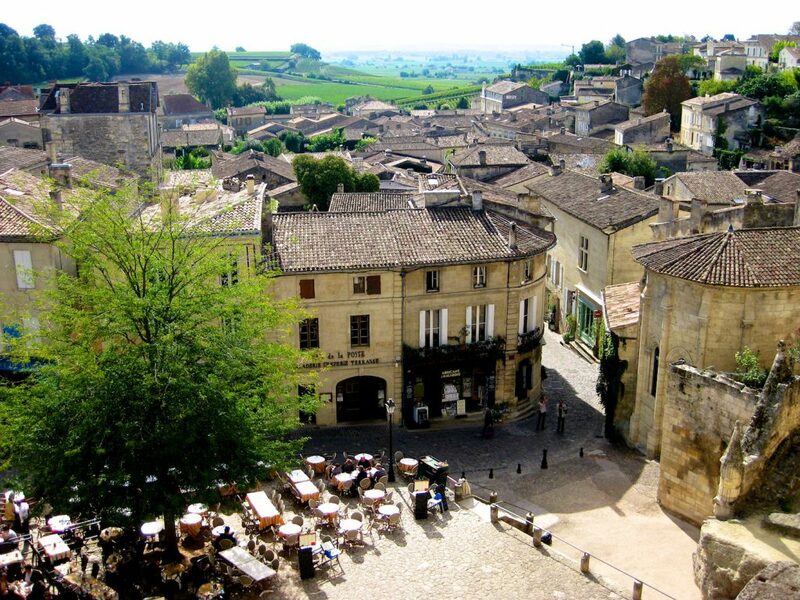 Châteaux and vines surround Bordeaux in every direction, including world famous Saint-Émilion, 50km to the east. 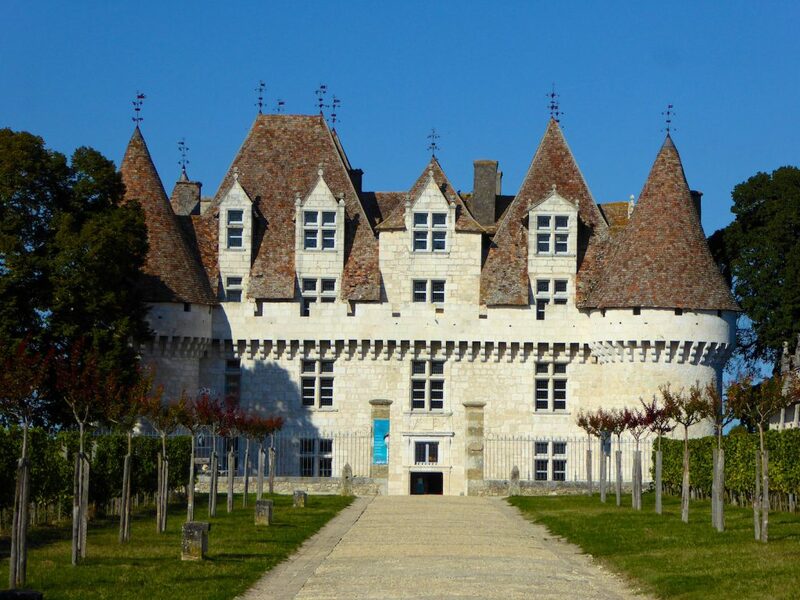 A further 50km along the meandering Dordogne River, close to the pretty historic town of Bergerac, lies the stunning Château de Monbazillac, one of the finest example of 16th century architecture in this Périgord region. 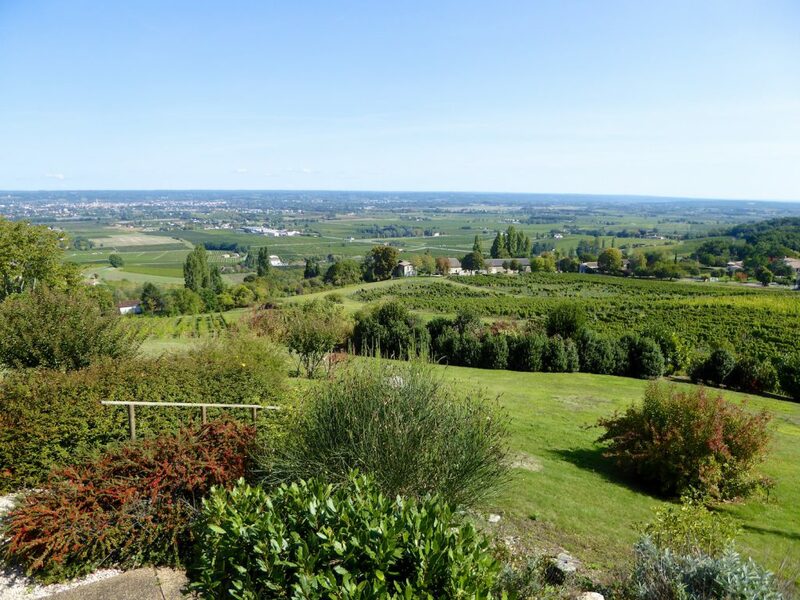 Sat majestically above the Bergerac Valley it has panoramic views. 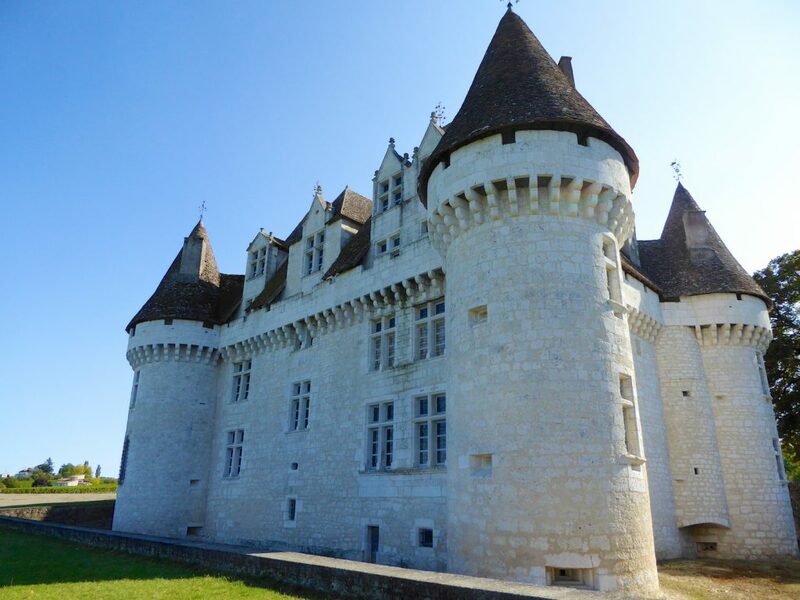 Basking in a gentle climate and surrounded by rich, fertile land it’s small wonder that Château de Monbazillac produces such excellent vintages from the lovingly tended vineyards which encircle it. 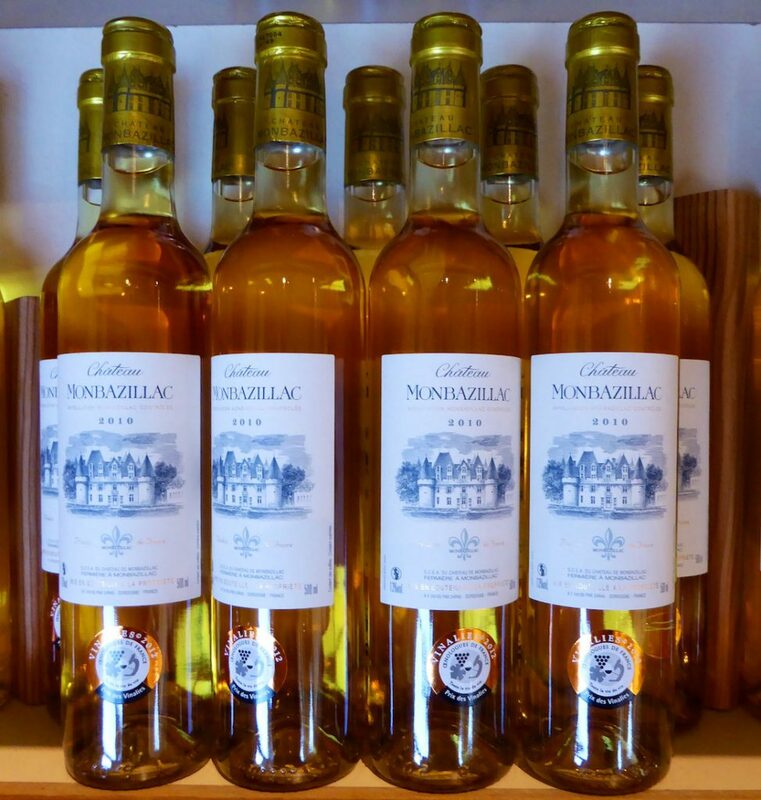 Today the château is managed and owned by the wine cooperative of Monbazillac and is open for tours daily throughout the year. About 15km to the south-east, lies the delightful medieval village of Issiegac. 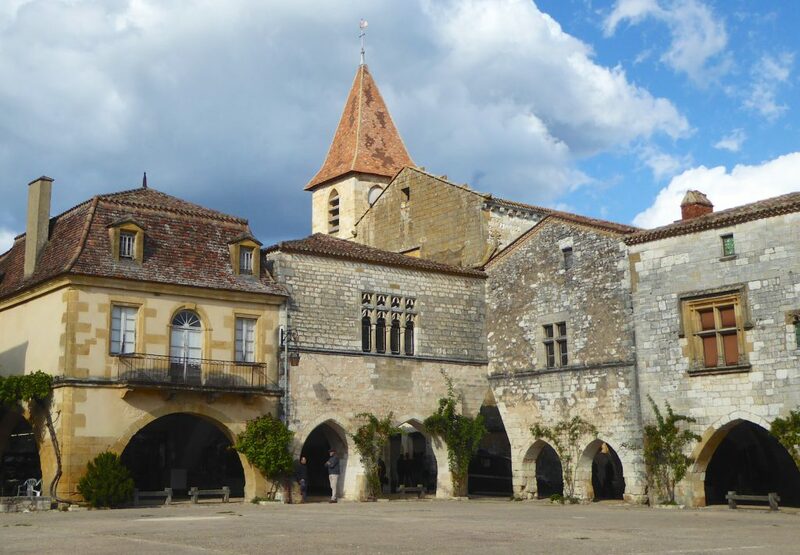 Like many of its neighbours it boasts a rich history; it is the site of a Gallo-Romain Villa, a 10th century monastery linked to the Abbey of Sarlat and the majority of its buildings date back to the 13th and 16th centuries. 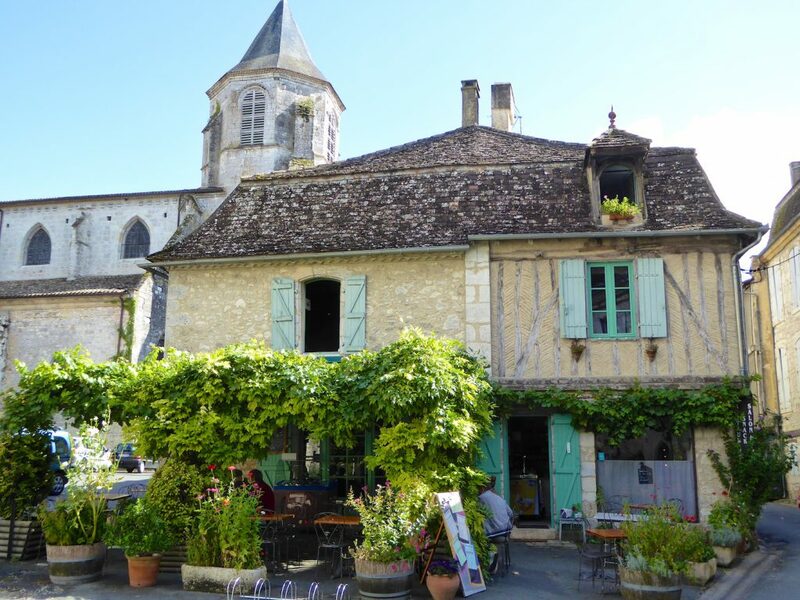 Wandering through Issigeac’s narrow, winding streets, lined with ancient buildings, hemmed haphazardly together, it feels like you’ve stepped back in time. 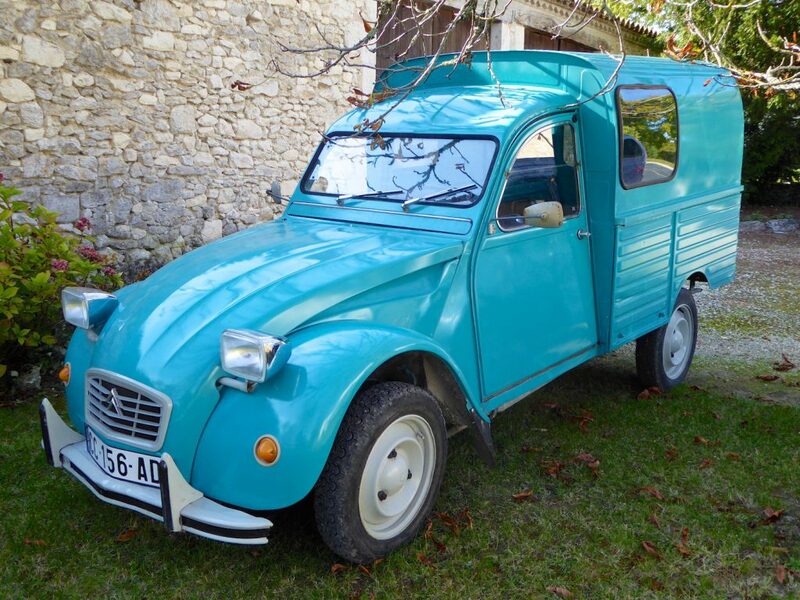 Don’t miss its Sunday morning market, one of the area’s best and if you can drive there in a real French car with plenty of room for all your purchases, so much the better! 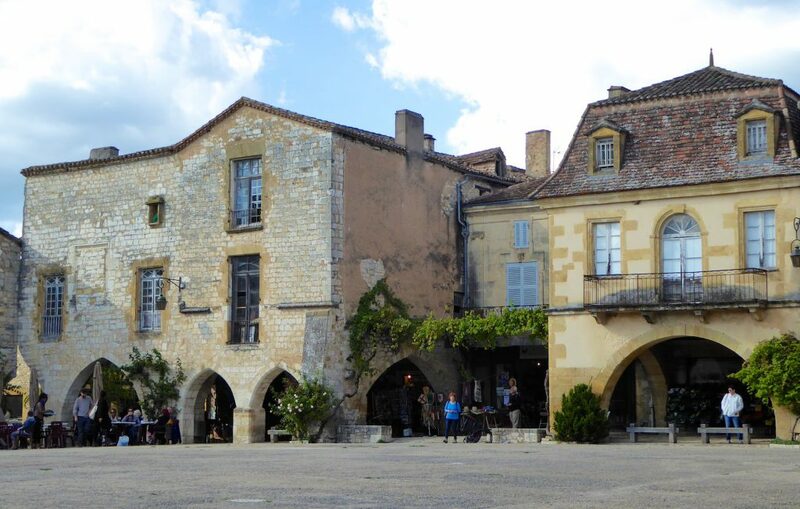 A little further along from Issigeac, north of the Dordogne River, is Monpazier, a gorgeous 600 year old bastide town, one of Les plus beaux villages du France. Founded in 1284 by Edward 1 of England, Monpazier’s expansive medieval market square, fringed by its golden stone arches, is almost completely preserved, as is the market hall still with its weighing and measuring apparatus. 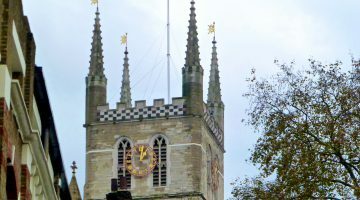 Once entirely surrounded by thick defensive walls with six large stone gateways through the walls, today two remain; one in the north of the town and one in the south. 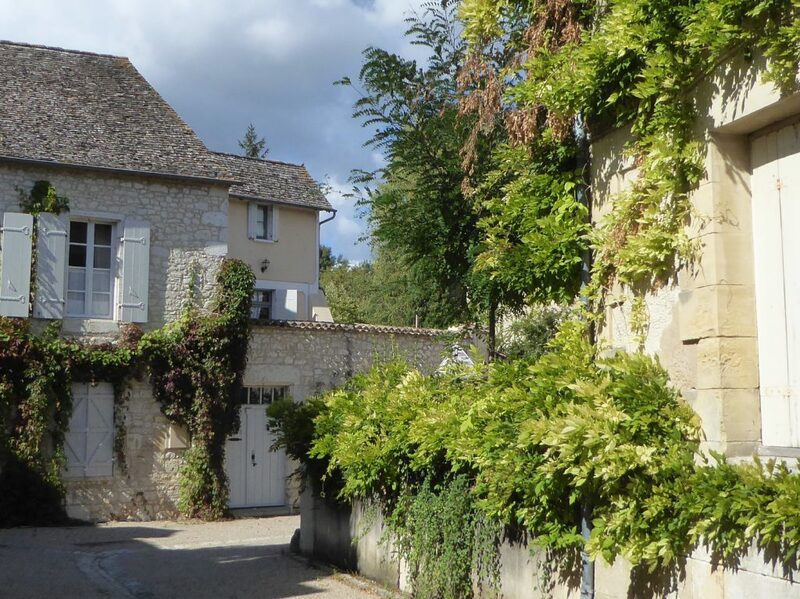 Monpazier is a truly special place, encapsulating the best of the Dordogne area. 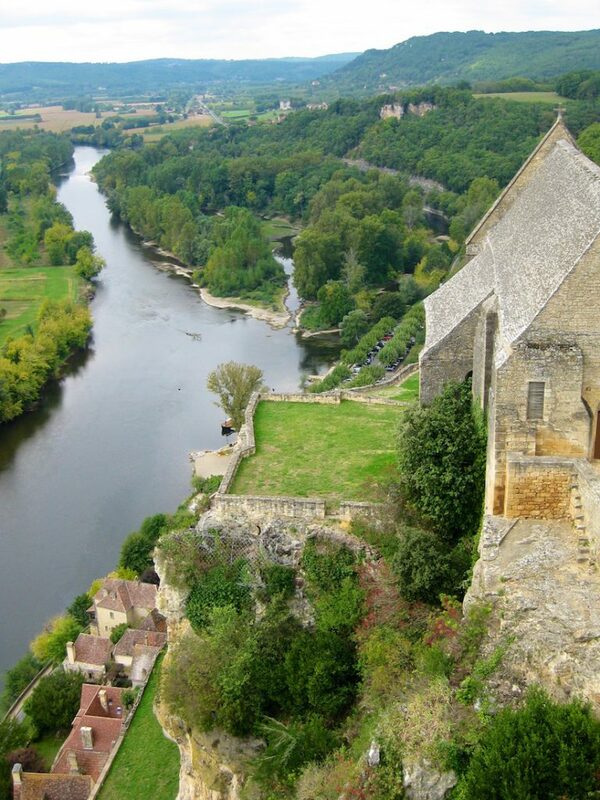 As the Dordogne river twists and turns, nestled alongside its banks are beautiful spots like Beynac-et-Cazenac. Flowing into the sea near Bordeaux, over the centuries, particularly after the Hundred Years War, a thriving river trade developed transporting the bounties of the region, especially wine, to England and beyound. 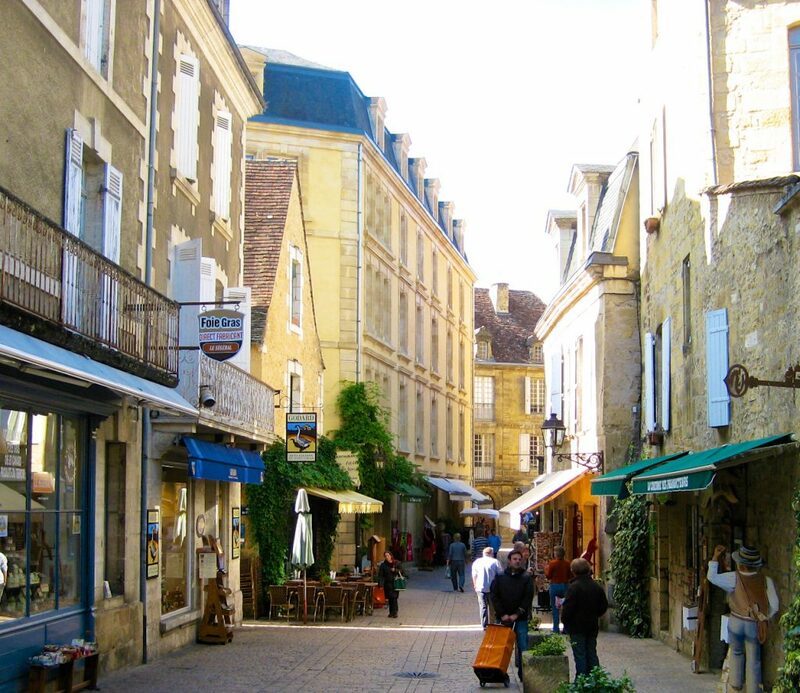 The delightful, medieval town of Sarlat-la-Canéda is nearby, famous for many local delicacies including its controversial but much sought after foie gras. All food, of course, features heavily on a trip to any part of France and this was no exception. 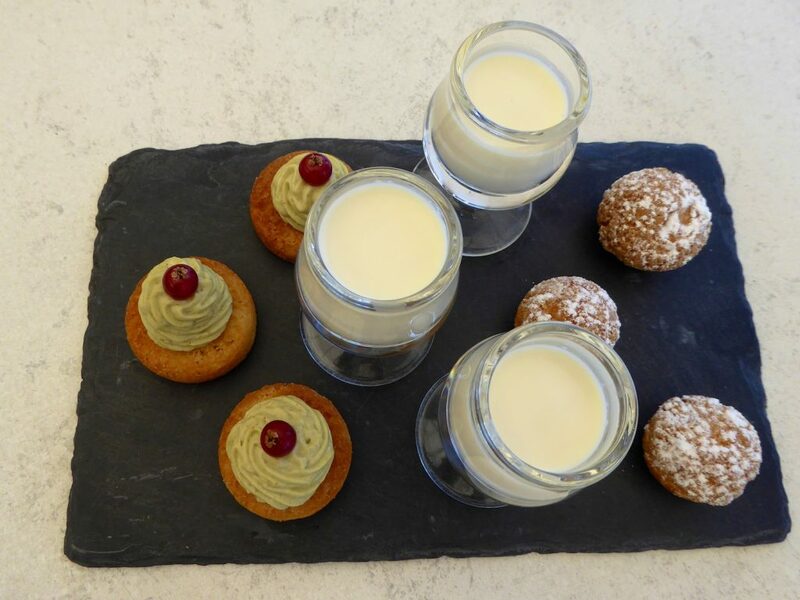 We enjoyed some exceptional, incredibly presented dishes ~ this was just an ‘extra’ served with coffee! 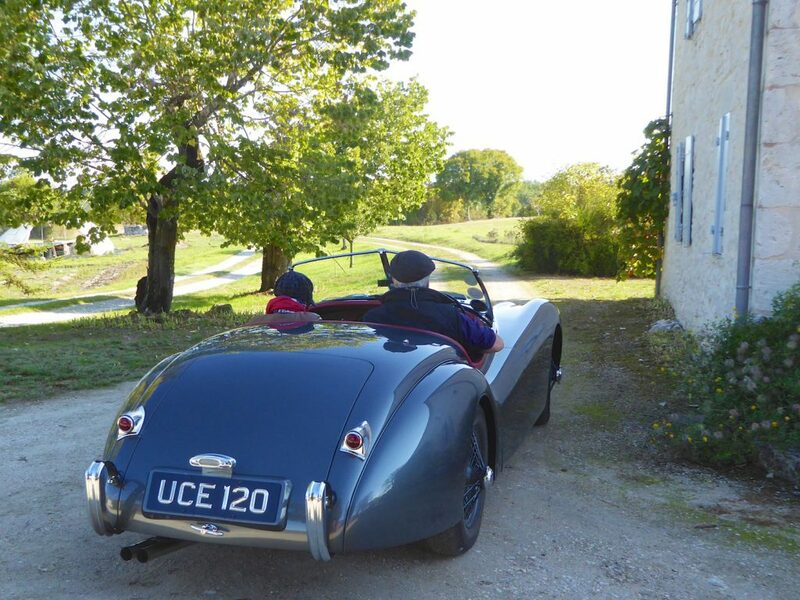 Our trip was made more special by our excellent tour guides who led the way in their gorgeous, vintage XK20 Jaguar (they also own the 2cv in which we collected our croissants each morning!) Thank you dear friends, we look forward to returning soon. an excellent resource to help you plan your trip! I went to the Dordogne region on my first trip to France. I still have fond memories of canoeing down that river with the picturesque châteaux towering above. It was romantic and out of a fairy-tale. My favorite was la Roque-Gageac. I have canoed down it too ( bit dirty!!) but a while ago and have not been to la Roque-Gageac, next time! 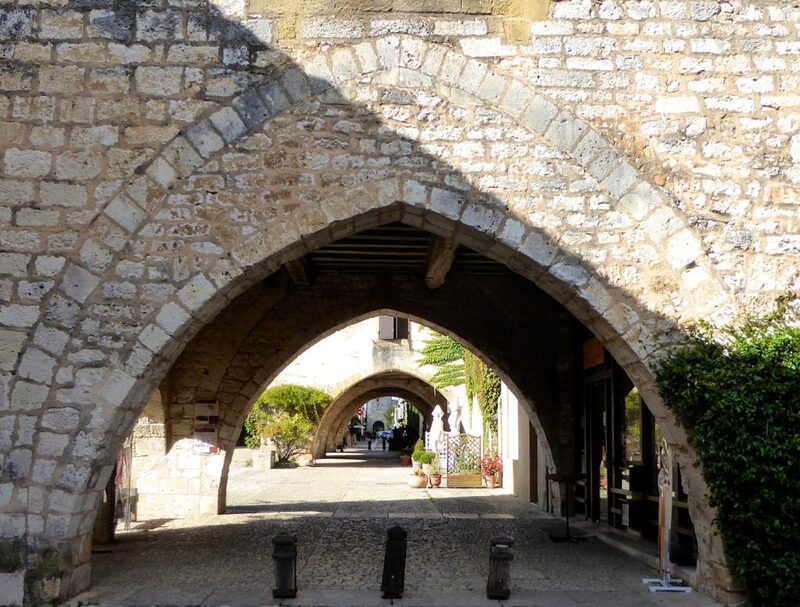 Have you been to Lourmarin this year? wish you could have been there with us!! I did go to Lourmarin in June. It was wonderful as always. Never can get enough of it though.